Can you ever have too many sequins? Clearly not. 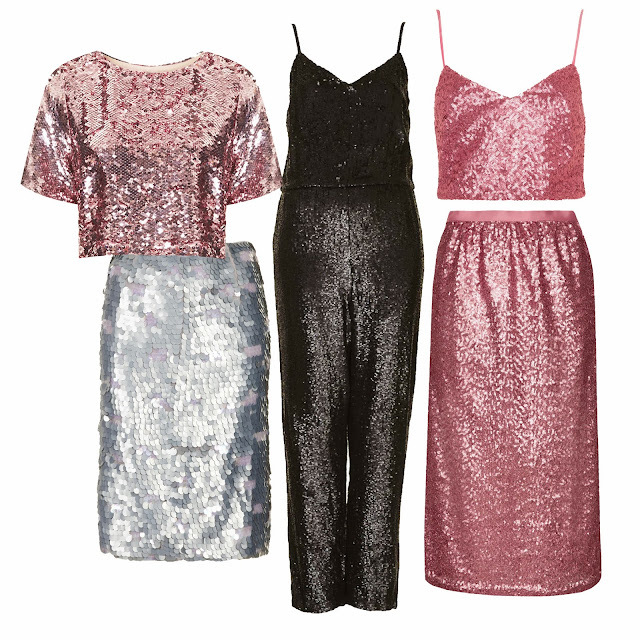 I find Topshop’s sequinned and embellished pieces to be a little overpriced normally, so the sale is the perfect time to snap them up. I bagged myself the pink sequin crop tee! Some of Topshop’s best bits come in the form of shoes, take a look at my favourites from the sale above and the links below. I already own and love the silver ‘Kapa’ shoes and have ordered myself the holographic Jolenes, whoops. Look out for some more of my favourite sale posts over the holiday period, happy shopping and merry Christmas! I love the entire choices! Uncategorized Sequin dress and bones bones bones!